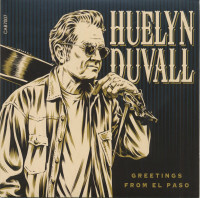 In your hands, you are holding the new recordings by Texan Rock 'n 'Roll originator Huelyn Duvall and, boy, do they bop! 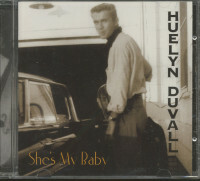 As with his last album 'She's' My Baby' (Brazos Valley Records BV3020), Fluelyn has deliberatelv set out to capture the essence, spirit and fed of true 50s rock 'n' roll and it is to his everlasting credit that he has succeeded and then some. However there is one difference between this album and his last in that it was recorded in Sweden with top musicians "Wildfire & The Ramblers plus .Boppin" Steve rakin" and pounding the eighty-eight keys. Huelyn is one of the revered rock 'n' roll musicians in Europe and often tours there backed up by the aforementioned Sweden's finest, Together they all make the dream music machine and, like fHuelyn's music from the fifties, sweep all before them like a rockin' tornado. 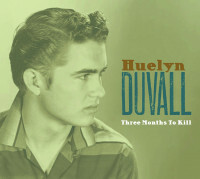 Huelyn is justifiably renowned for his cult classics such as 'Three Months To Kill', Pucker Paint', 'Juliet' and 'Hum-m--m-dinger' and 'Little Boy Blue' recorded in 'Nashville and Hollywood in 1957-58. On this release we are served. up equally strong material such as the stormin." 'Daddy's little Baby' 'Blue "Eyed Sally, the mid tempo rockin' of 'My Girl (Wears long Hairy plus the wistfu.l balladry of 'The Matador' or 'By. And 'By'. 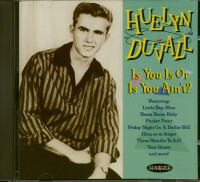 Most of the songs are self penned Huelyn but he also wanted to include some songs that he used in his fifties stage act when he appeared alongside the likes of Eddie Cochran, Johnny Horton, Bobby Darin„ Dale Hawkins and The Champs (Huelyn is one of the vocalists on their million selling ''Tequila"). Just listen as he wraps that unique singing style around 'A. 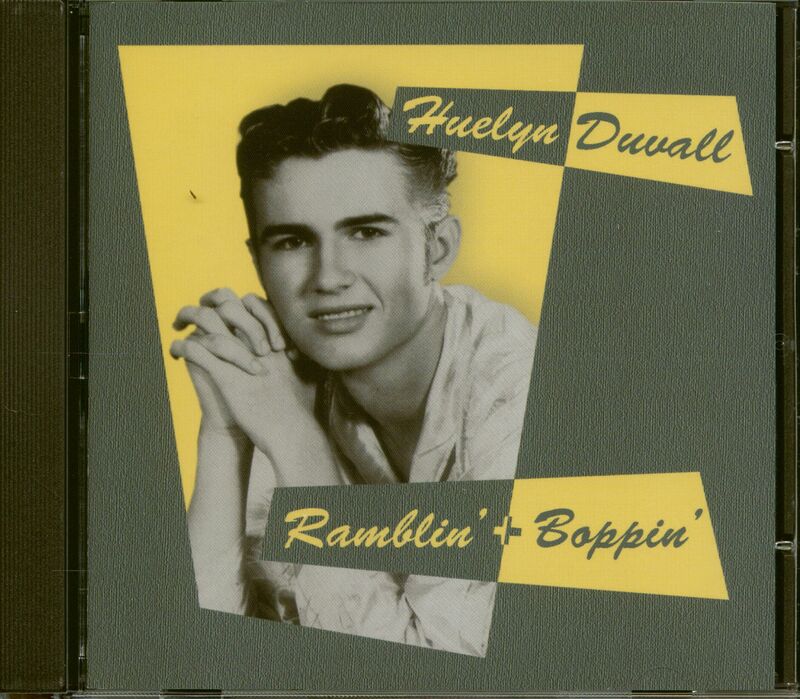 Fool Such As .1' or 'It All Depends (Who'll Buy The -Wine)", A live appearance by Huelyn is a top rockin" event and the audience always leaves exhausted, happy and wanting more. This album provides the flavour of his commanding stage presence and so until he returns to perform down your way, slip this little shiney into the CD player, grab you partner , sling her/his shoulder and rock. 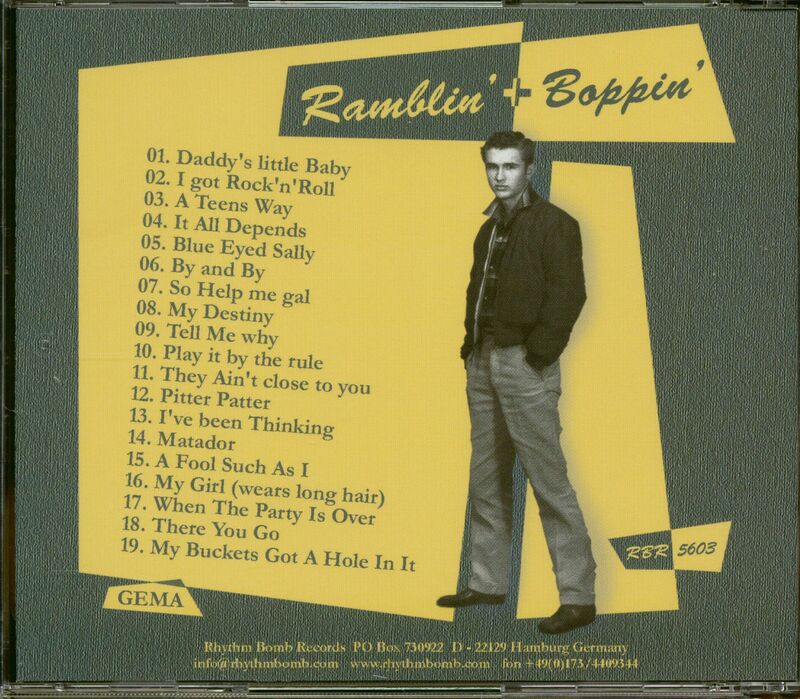 Customer evaluation for "Ramblin' & Boppin' (CD)"